The whistleblower is set to receive between $1.4 million and $1.6 million for reporting "imminent misconduct." A whistleblower will recieve between $1.4 million and $1.6 million. The Securities and Exchange Commission on Wednesday awarded more than a million dollars to a compliance professional who provided information that assisted the agency in an enforcement action against the whistleblower’s company. The whistleblower is set to receive between $1.4 million and $1.6 million. Whistleblower awards can range from 10% to 30% of the money collected in a successful enforcement action with sanctions exceeding $1 million. By law, the SEC must protect the confidentiality of whistleblowers and cannot disclose information that might directly or indirectly reveal their identities. Since its inception in 2011, the SEC’s whistleblower program has paid more than $50 million to 16 whistleblowers who provided the SEC with unique and useful information that contributed to a successful enforcement action. The SEC awarded a former officer in early March a whistleblower payout between $475,000 and $575,000 for reporting original, high-quality information about a securities fraud. The officer was eligible for the award because the compliance department failed to address company fraud. All payments are made out of an investor protection fund established by Congress that is financed entirely through monetary sanctions paid to the SEC by securities law violators. No money is taken or withheld from harmed investors to pay whistleblower awards. 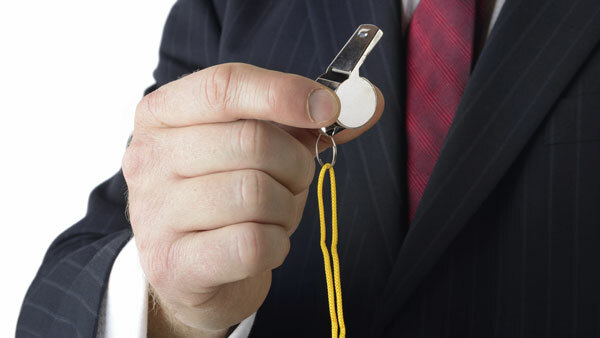 — Check out SEC Fines KBR for Rules Stifling Whistleblowers on ThinkAdvisor.